You are here: Home / Healthy Eating / Dr. Seuss Snacks! 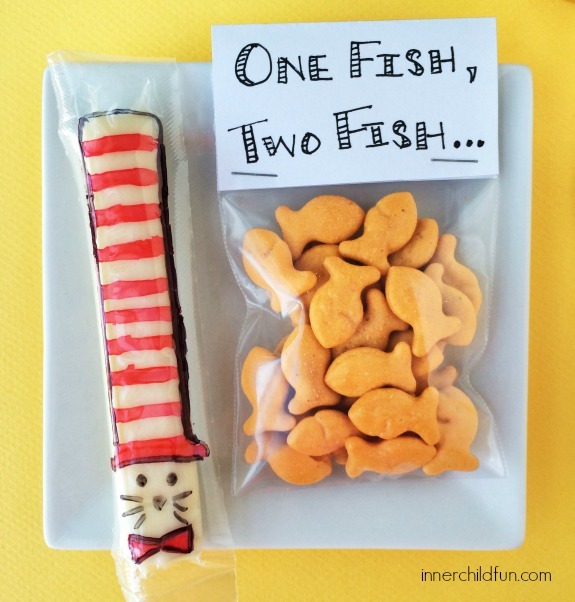 These Dr. Seuss snacks are super easy to prepare and are candy-free! We are celebrating all things Dr. Seuss this week in anticipation of Read Across America Day and Dr. Seuss Day (March 2nd). Here are some simple ways to make snack time a little more fun and festive — Dr. Seuss style! Use black and red permanent marker to draw the cat in the hat on top of the cheese stick’s clear wrapper. Allow to dry completely. Place fish shaped crackers in a plastic bag, write “One Fish, Two Fish” on a piece of paper to use as a bag topper. User a stapler to attach the bag topper to the bag. 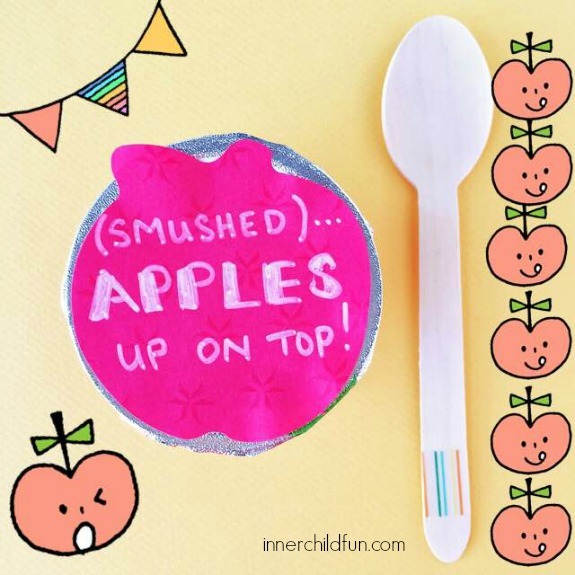 Use the white gel pen to write “(Smushed) APPLES Up On Top” on the apple shaped sticky note. Attach to the apple sauce lid. Use extra tape to hold in place, if desired. Optional — Decorate a wooden spoon with a bit of washi tape. 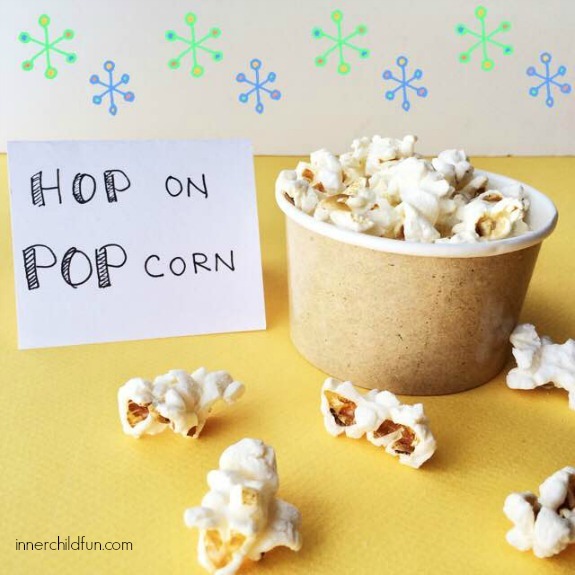 Fold an index card in half to make a sign and use markers to write “HOP on POPcorn”. Fill a small bowl with air-popped popcorn and place the sign next to the bowl. Hot Air Balloon Window Display Inspired by Oh, the Places You’ll Go!